Also known as Darth Sidious, you have been trained to enforce the dark side. 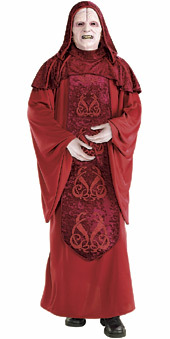 This Star Wars Deluxe Emperor Palpatine Costume is inspired by the character himself from the Star Wars series. His velvet robe and vinyl mask scream authority, so let your ruling personality out through this deluxe Star Wars costume!